In each Transitions section of Preservation magazine, we highlight places of local and national importance that have recently been restored, are currently threatened, have been saved from demolition or neglect, or have been lost. Here are five from Winter 2019. 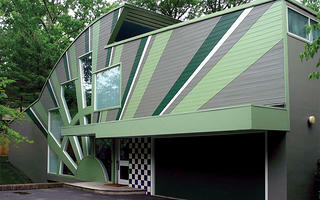 A rare Postmodern-style house in Pittsburgh, Pennsylvania, designed by Robert Venturi, may be demolished this year. Built in 1982, the Abrams House sits in the Squirrel Hill neighborhood, which also includes significant works of architecture designed by Walter Gropius and Marcel Breuer. The current owners (who also own a house next door) wish to demolish the house. However, groups such as Pittsburgh History & Landmarks Foundation (PHLF) believe that the Abrams House is too architecturally significant to warrant demolition; it was designed for the surrounding landscape and cannot be replicated. In November of 2018 the city’s historic review commission and planning commission both recommended the house for local historic designation, which jump-started a period of public comment and deliberation by the city council. It is expected to be several months or more before the outcome is determined. 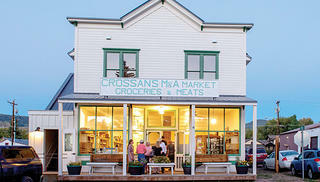 In 1903, Crossan’s M & A Market opened in Yampa, Colorado. The simple frame commercial building carried dry goods and produce for the town of about 460. But after the Crossan family sold the building to a competitor in 1964, it was used for storage and fell into disrepair. Wood rot affected the rudimentary timber foundation, and marmots were living inside and underneath the structure. Additionally, the deteriorated internal wood framing needed support. In 2006, Yampa’s town board purchased the market and began repairs. With the help of preservation partners Historic Routt County and Friends of Crossan’s M & A Market, Yampa raised $1.2 million for the three-phase project. Beginning in the winter of 2013, crews lifted the building while a new foundation was added. The second floor was strengthened with steel beams sistered to existing floor joists, and many of the original supporting trusses were reinforced with steel. Crossan’s M & A Market opened in September of 2018 and is now home to town hall, a visitor center, and a community space. 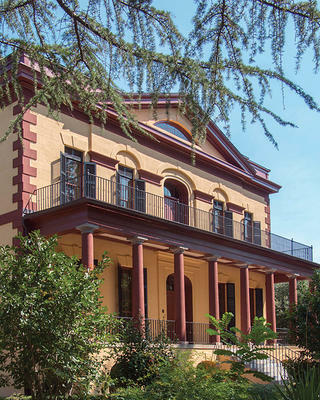 In May of 2018, the Hampton-Preston Mansion and Gardens in Columbia, South Carolina—the onetime residence of planter and United States Army Major General Wade Hampton I—opened in time for the site’s 200th anniversary following a thorough re-interpretation and rehabilitation. In 2017, the National Trust funded a grant that helped Historic Columbia, which owns and operates the property, to hire Meadors, Inc. to conduct a paint analysis of the house’s interior spaces and exterior stucco. The rooms were then re-interpreted to different periods, including 1818, the year the house was built, and the 1970s, when it became a museum. The exterior now appears as it did in 1850, when Hampton’s daughter and son-in-law renovated the Federal-style residence into a Greek Revival-style urban estate. Under preservation architect Lord Aeck Sargent, crews applied yellow ochre-colored stucco that matched circa-1850 paint fragments to the exterior (which was previously painted gray). Other work involved updating the HVAC and repairing the building envelope to prevent moisture intrusion. New interpretive signage in both the house and gardens, as well as updated tours that highlight the lives of the property’s enslaved servants and paid workers, tell a more complete story of Hampton-Preston. On August 4 in Burlington, Iowa, a fire destroyed much of the historic Tama Building, which was set to open as a mixed-use project two weeks later. The fire’s cause is still unknown. The five-story, brick-and-cast-iron structure was built in 1896 in what is now Burlington’s Downtown Commercial Historic District. Businesses such as a dry goods store, a pharmacy, and a jewelry store operated from the ground floor, and the upper floors housed offices. The Tama Building eventually became vacant, and in 2015, developer Doug Wells purchased it with the goal of redeveloping it and bringing economic revitalization to downtown Burlington. As of press time, though, it appeared that the damage caused by the fire would be prohibitively expensive to repair. “I believe [a historic consultant] and then the State Historic Preservation Office will determine what [historical] components may be mitigated if the owner builds a new building in the current’s place,” explains Eric Tysland, director of Burlington’s community development and parks departments. The remains of the building may come down sometime early in 2019. 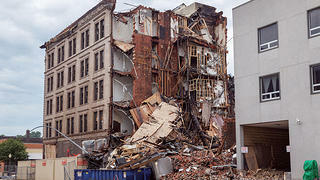 The Founders National Bank building, the only structure architect Bob Bowlby designed in his hometown of Oklahoma City, was torn down in October of 2018. 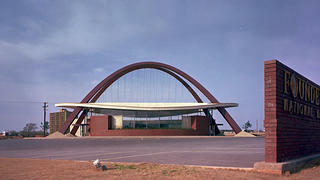 Bowlby, who studied under iconoclastic architect Bruce Goff, designed the Midcentury Modern building in 1964 to national acclaim, using innovative arches that negated the need for interior curtain walls. Rumors of its potential demolition surfaced in early 2016, prompting opposition from many (including Bowlby) and the creation of a petition to save it by the nonprofit group Okie Mod Squad. However, the company that owns the property, Schlosser Development Corp., received a demolition permit in October of 2018 and had the building torn down the same day, clearing the path for new construction.